Home » Gadgets & Tech » Let’s PUT an RGB Keyboard to the test and see how well it does! Let’s PUT an RGB Keyboard to the test and see how well it does! Many desktop computer systems tend to have the keyboard they were purchased with and we will just roll with it. 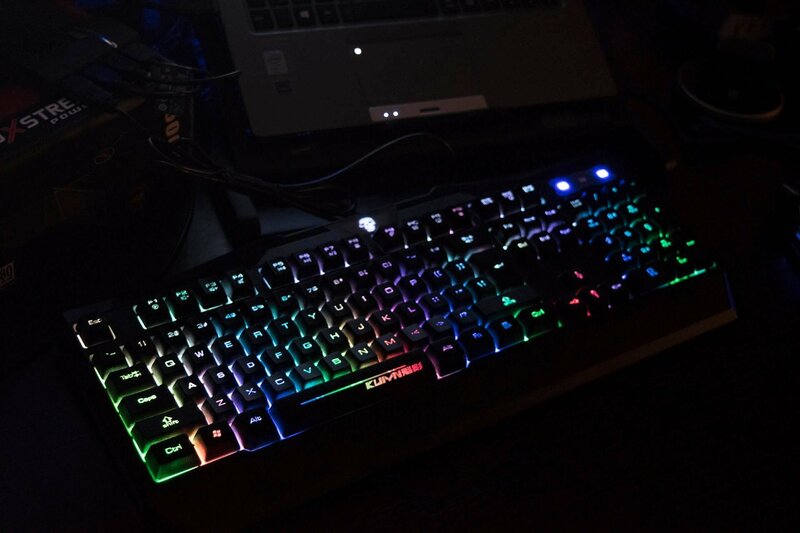 This is where I defer from the masses, I received a keyboard to test from Bluefinger USB Wired LED Rainbow 7 Color Backlit Illuminated Gaming Keyboard and it’s definitely doing my desktop setup justice. This might just be one of those “WOW” moments. Going over the technical aspect of the keyboard, the keys are extremely responsive, you don’t have to press them hard to register. 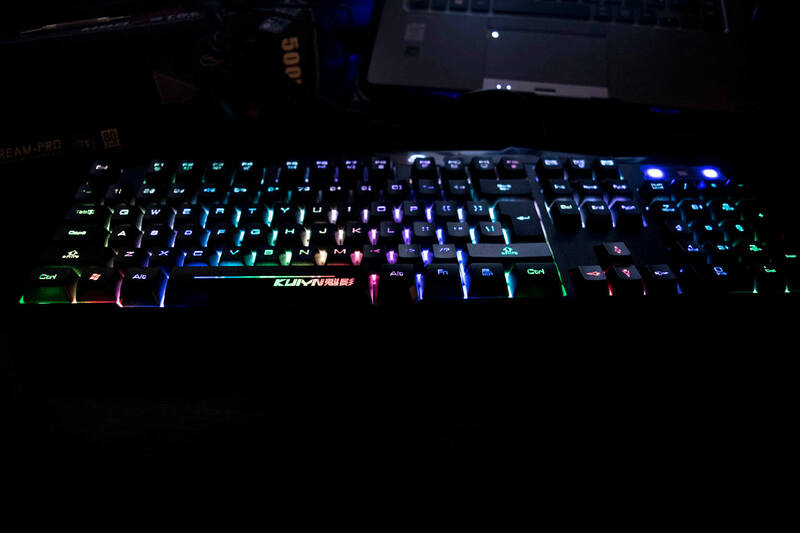 If you do get a chance to play with this keyboard, you’ll notice that the RGB light value for the keyboard is bright enough for day use and also well lit for the night time, very well balanced. If you had to remove the keys to clean up, repair or anything else you’d be able to pop them out without to much trouble. I’ve noticed that many people have asked if this keyboard is a mechanical keyboard; No it’s not, it’s membrane, but there’s a definite click resistance in the keys that makes it’s quite interesting and similar to a mechanical keyboard. This bit of information needs to be copied into Notepad and saved under a name such as “keyboard_lights.vbs” and placed in the startup folder of your profile. If you don’t know “WTF” I’m talking about, I’ll make it simple. Open a file browser on your “Windows 10” machine. In the file path at the top type in %appdata% double click on Microsoft, Windows, Start Menu, Programs, Startup and copy the file you created in that folder. This will turn the keyboard lights on for you once you reach the desktop upon boot. You can putt your hands on this baby on Amazon as little as $27.99, this is a pretty sweet deal for a nice keyboard and it’s definitely different than the typical blend keyboard we’re used to. Next Need a cheap alternative to those expensive Bluetooth headset?